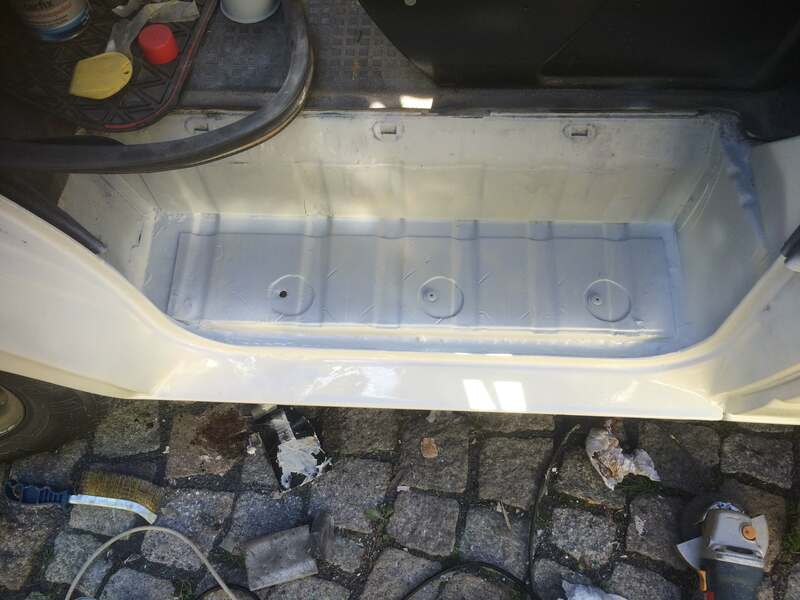 To improve the durability of the inner surfaces I used a new rust converter called fertan. 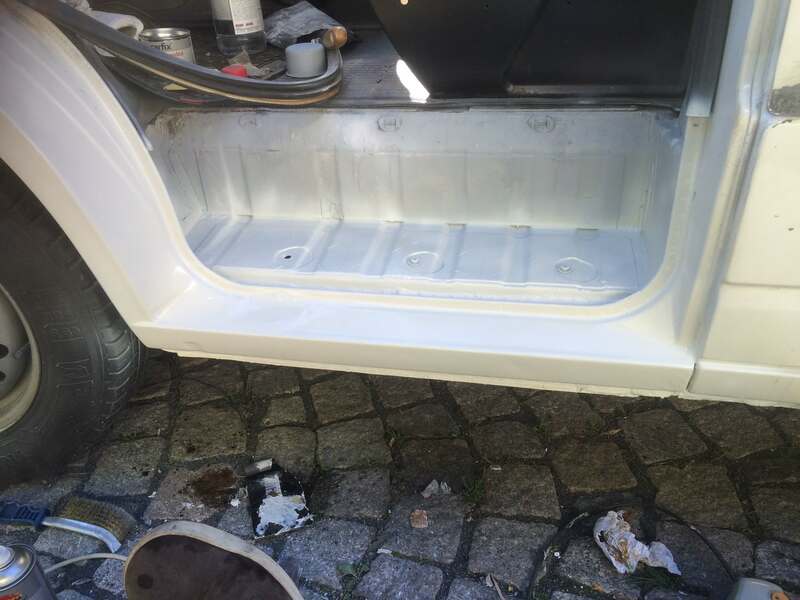 As research has shown it is used by a lot of car restaurateur workshops and is quite effective protecting the metal from new rust by creating an protective coat. 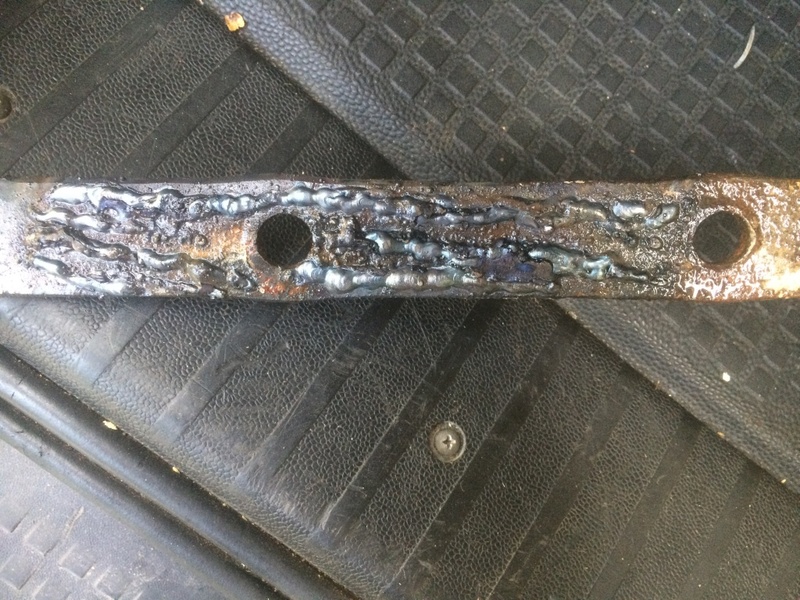 After 24 hours of letting it dry I additionally added another new rust preventing oil: Owatrol. 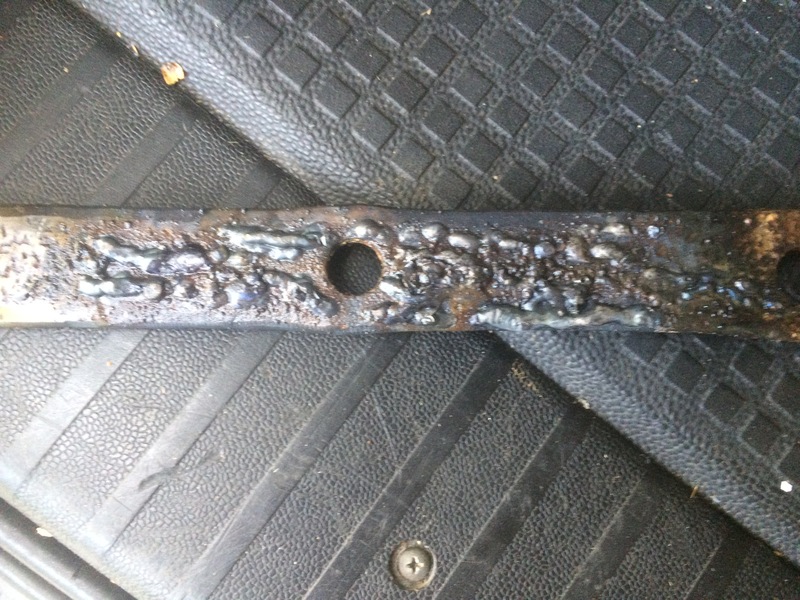 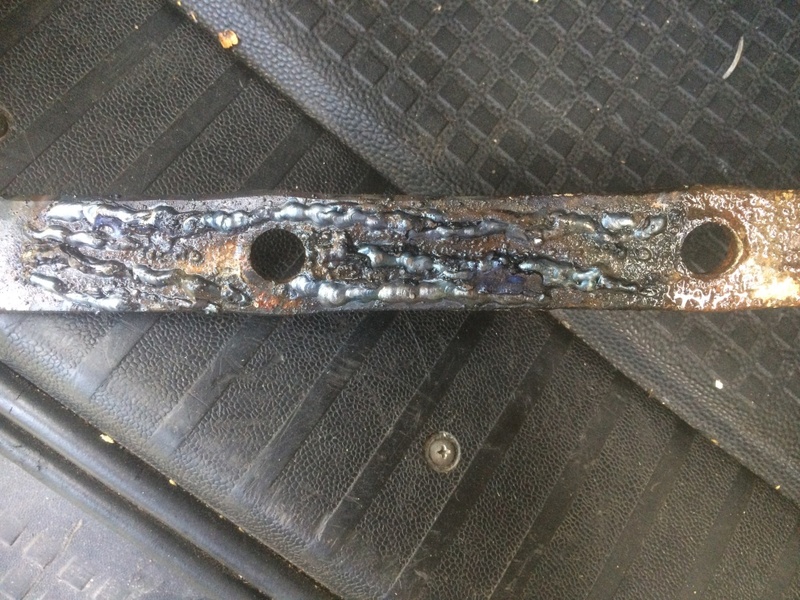 It’s a synthetic resin based oil able to prevent rust to grow by cutting it off from water and air. 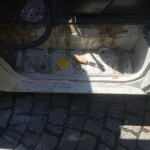 By that, the spot should hold 2-3 years without replacing the complete sill. 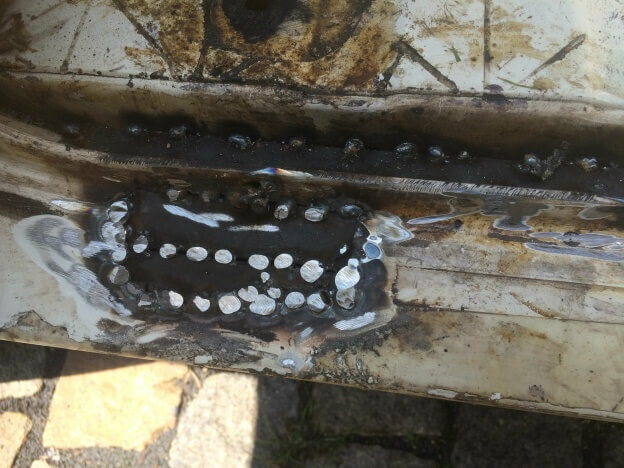 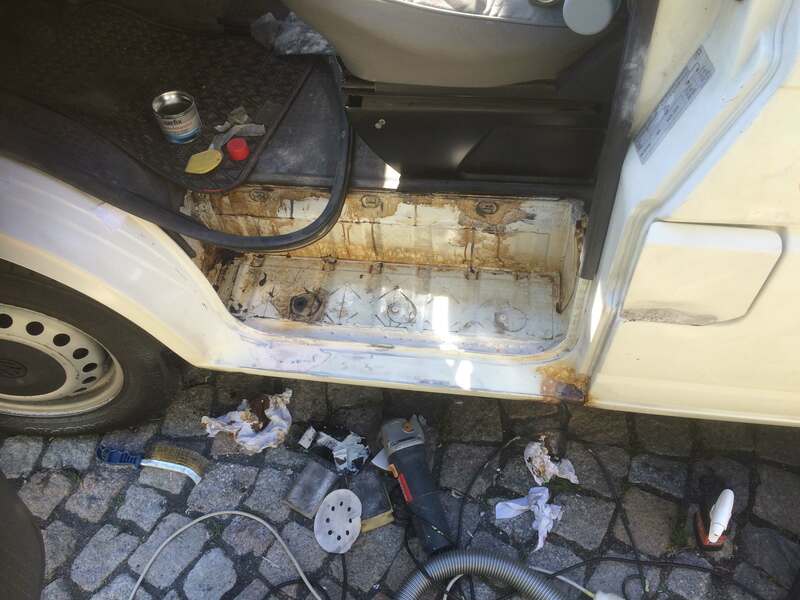 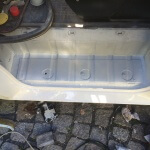 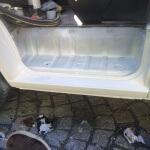 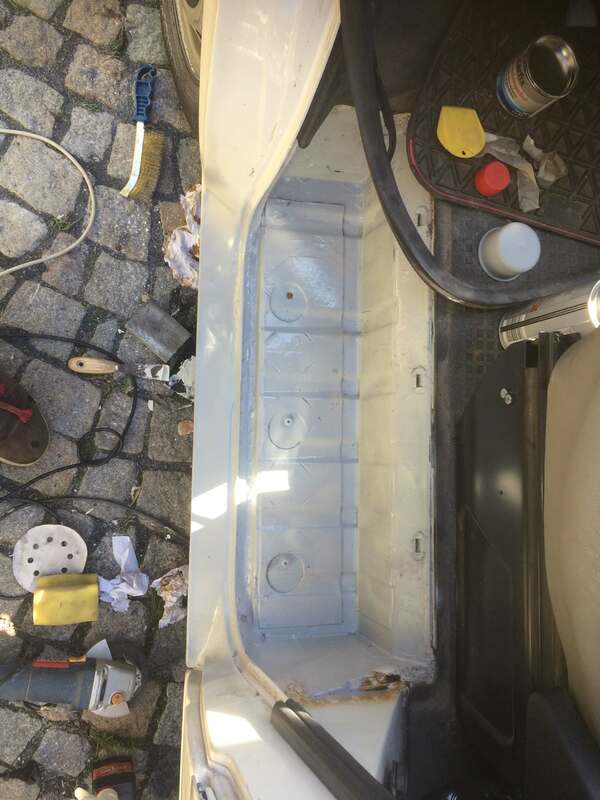 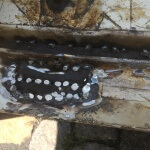 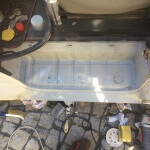 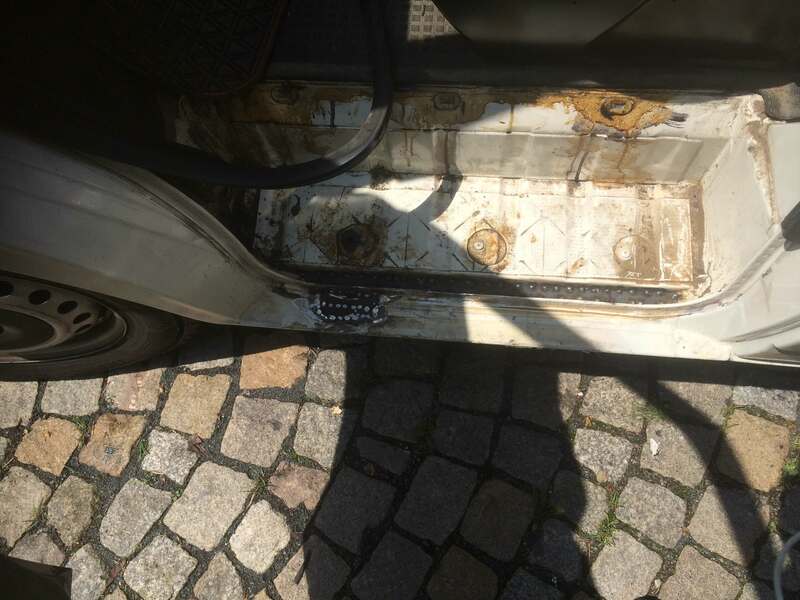 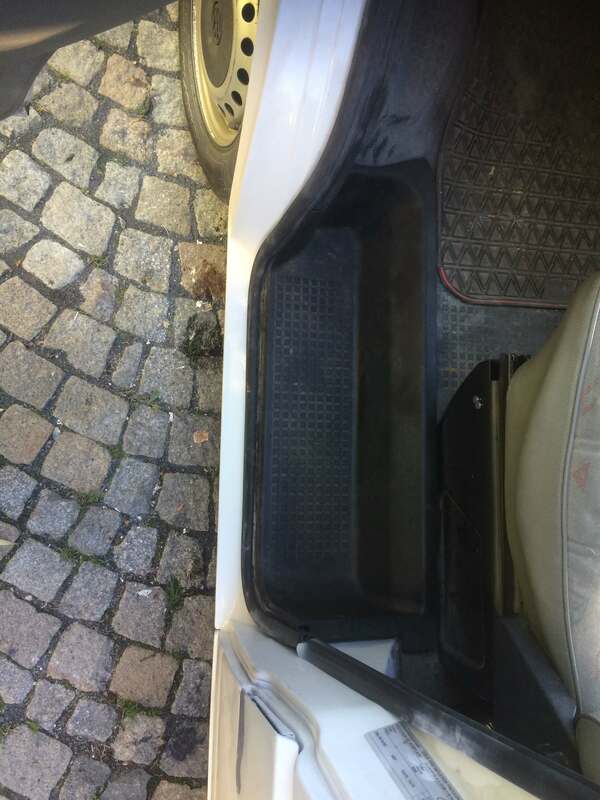 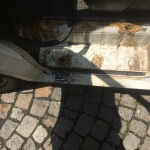 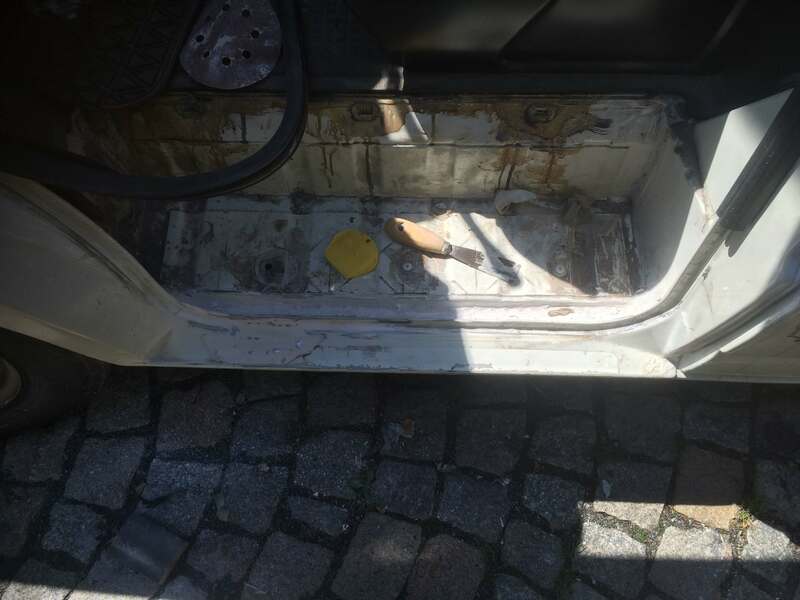 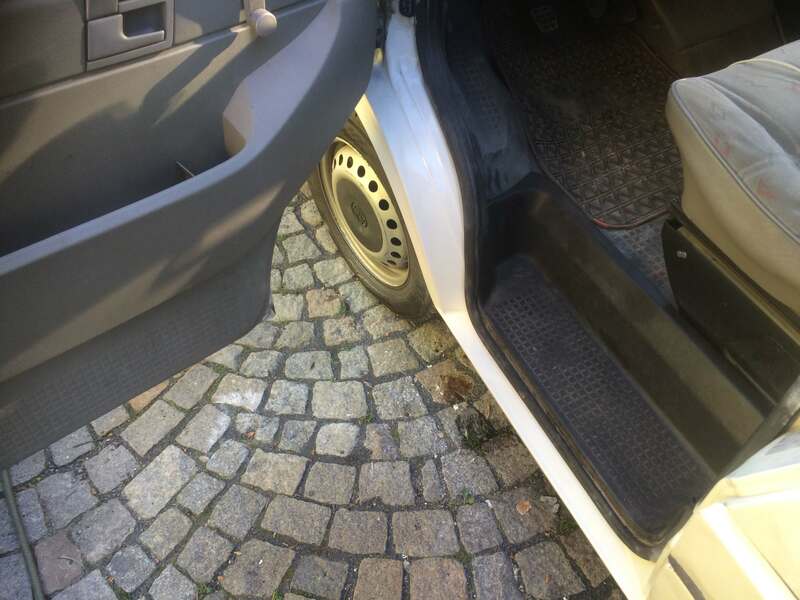 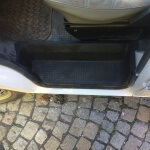 This entry was posted in Uncategorized, VW T4 Project - from bumpy to beauty and tagged T4, VW on 2016-06-07 by paul. 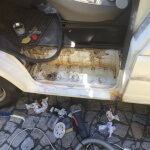 This entry was posted in Uncategorized on 2016-05-30 by paul. 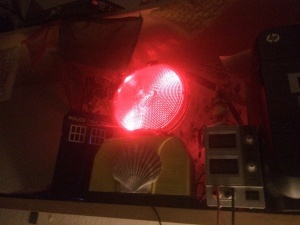 Today I built a small wifi light which rotates in case a certain hostname (my smartphone) is in the local wifi. As these devices tend not to answer to ping or arp requests, and bonjour or mDNS where to slow, I crawl my dhcp server every five to ten seconds. 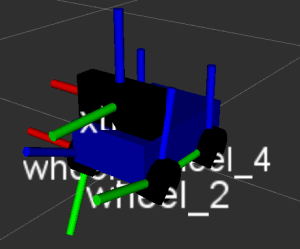 Additionally i decreased the lease time of the dhcp to improve the switch off response time. 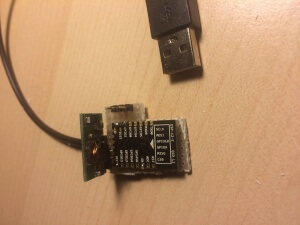 As my smartphone usually logs into my wifi instantly when I enter the house it’s usually switches on before the main door has been opened. The interior of the lamp consists of seventeen ws2812b rgb leds which I controlled in an intermediate stage with the esp2866 opc code on github. 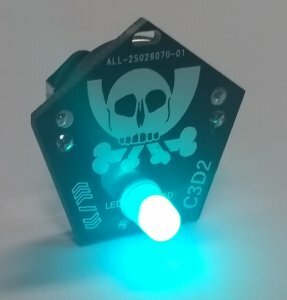 As this would have required a constant network packages flow and a device delivering the UDP packages, I later on switched over to control the led animation by the esp8266. 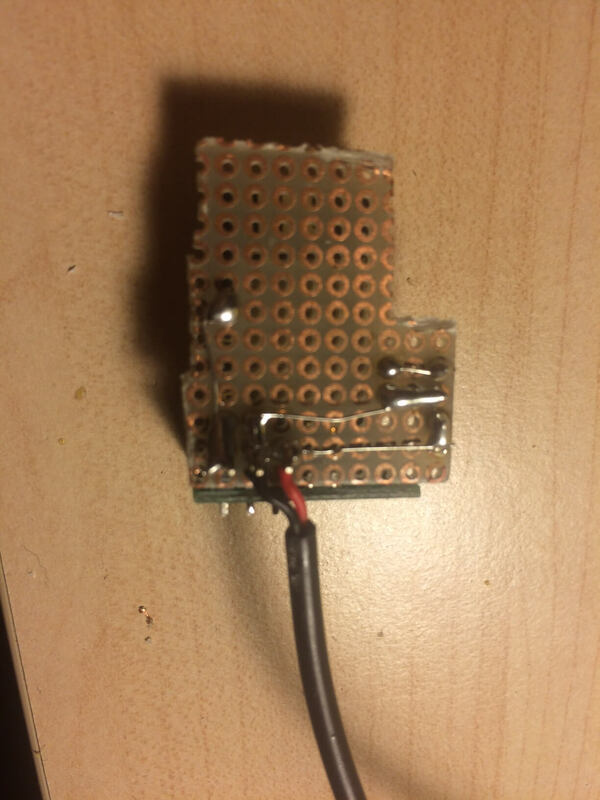 Something I discovered today is that soldering the 2mm grid esp8266 upside down onto a 2.54 grid prototyping circuit board improves handling and speed, as well as the size of the final circuit. 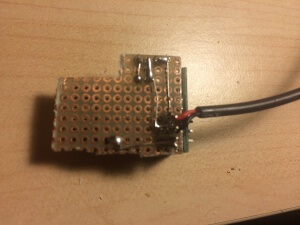 You also can see the pin map information on the final product, which is nice. 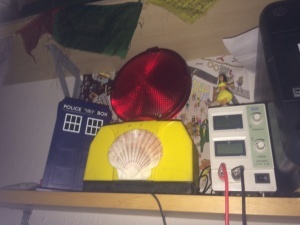 In conclusion, this was a nice little project I really enjoyed doing in a sleepless night 🙂 And with about 10€ plus the lamp I got as a gift a long time ago, not that expensive. 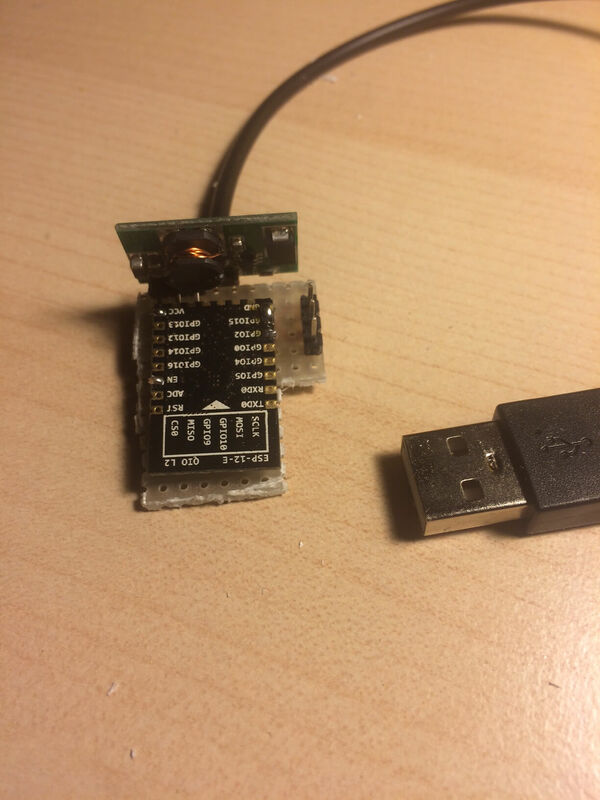 This entry was posted in esp8266, Uncategorized and tagged esp12q, esp8266, ws2812b on 2016-01-19 by paul. 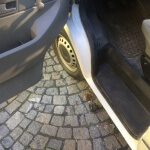 This entry was posted in Uncategorized on 2015-12-07 by paul.